Dimensions 1.50 by 11.75 by 13.75 in. Flower arrangement in interior decoration; Pictorial works. Bring the outdoors in! Beautiful floral arrangements have long been a hallmark of Veranda, and this lavish and luxurious collection offers a stunning presentation of the most exquisite flowers ever featured in the magazine. 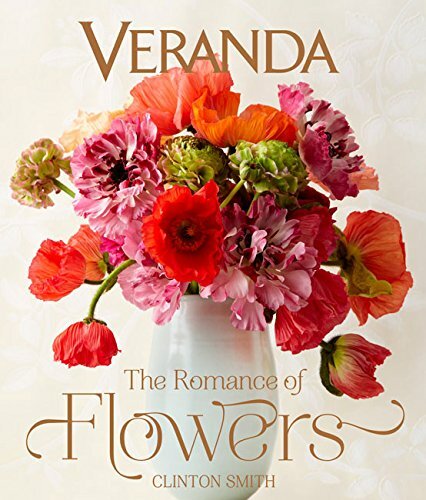 These unique designsÃ¢ÂÂcreated by some of the world's leading floral artists as well as by homeowners with a flair for creativityÃ¢ÂÂembody the Veranda readerÃ¢ÂÂs passion for gracious living. From charming bedside bouquets to showstopping centerpieces, from a simple arrangement of yellow roses in a glass vase to a free-form mix of succulents sprinkled atop a dining room table, these designs will appeal to anyone with an appreciation of color, artistry, and imagination. With Aerin Lauder (other contributor) | from Hearst Books (October 6, 2015); titled "Veranda: The Romance of Flowers"
About: Bring the outdoors in!